Creating interest in breads can be as simple as adding seeds, while simultaneously meeting consumer demand for ingredients that have health and nutritional benefits. While freshness, taste and price remain important drivers for bread choice, research indicates that high fibre and added functional ingredients such as seeds are important motivations and considerations at point of purchase. Ingredients such as linseed, poppy, chia and sunflower seeds are popular both as inclusions and toppings. These additions not only meet the consumer desire for healthy ingredients but also for variety, added flavour and a more experiential and sensory stimulating offer. Kells Wholemeal was one of the first companies in Ireland to distribute seeds, recognising both their health benefits and the natural taste marriage with bread and bakery products. A blend of nutritious ‘ancient’ grains – Buckwheat, Quinoa, Millet and Chia – in a wholemeal spelt flour base. Normally used in multiseed yeasted or soda bread, it can also be sprinkled on top before baking. We recommend a usage rate of 5%–15% depending on the baker. Our complete seed blend contains brown linseed, hulled millet, pumpkin seed and buckwheat. Popularly used in soda breads. A complete seed blend that contains pumpkin, sunflower, sesame seed and brown linseed. Popularly used in yeasted bread to deliver seed count, seed variety, flavour and texture it can also be used as a topping when applied before baking. 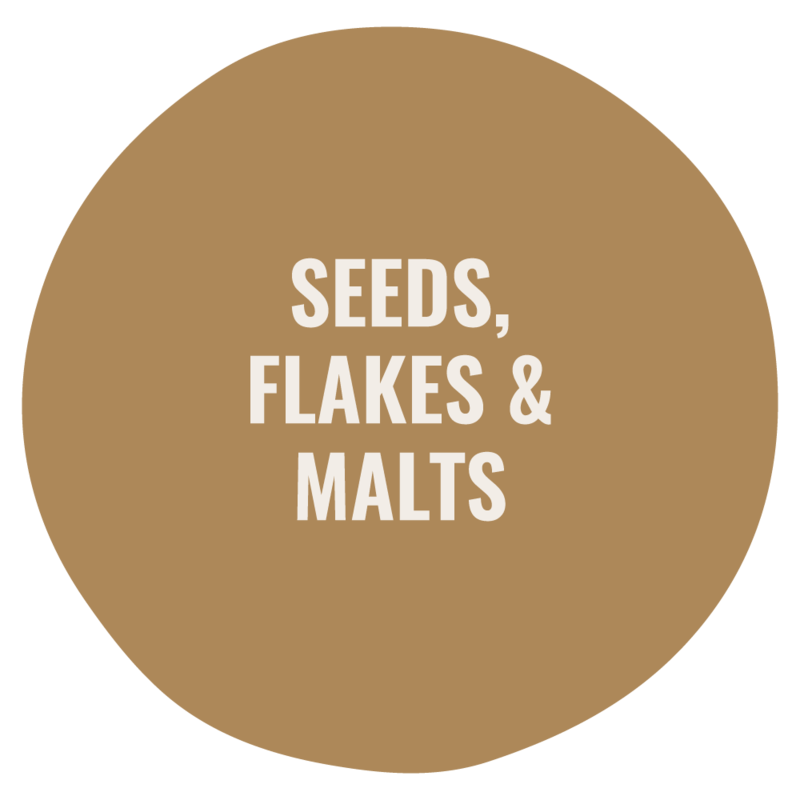 Our complete seed blend contains malt flakes, sunflower, brown linseed, sesame seed, rolled wheat and poppy seed. Popularly used in yeasted bread to deliver seed count, seed variety, flavour and texture it can also be used as a topping when applied before baking. Our complete seed blend contains pumpkin, sunflower, sesame seed, hulled millet and brown linseed. 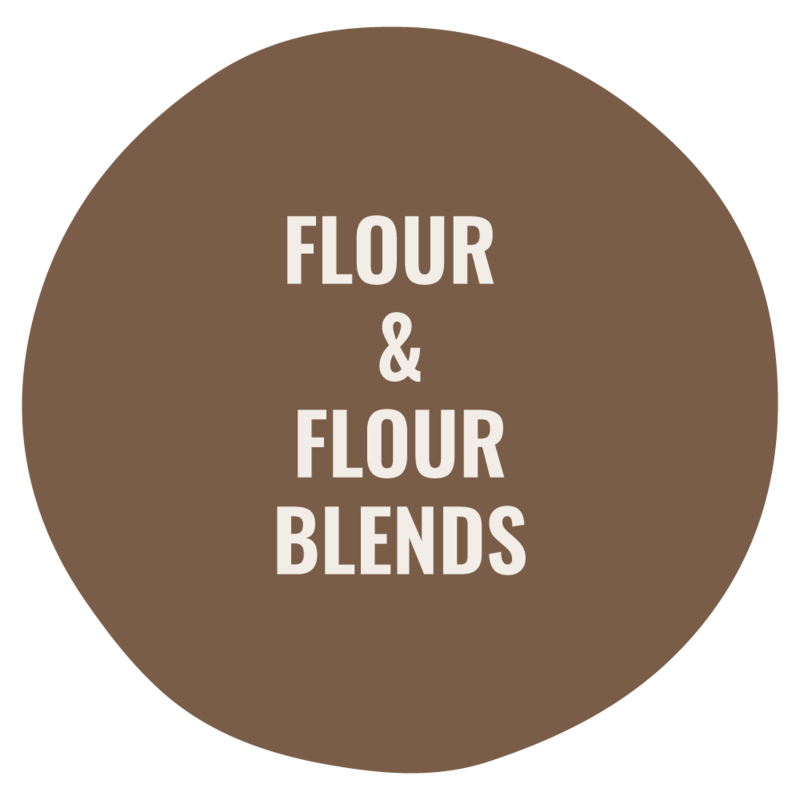 As with our other seed blends this is perfect as a seed inclusion for yeasted breads, delivering excellent seed count, seed variety, good flavour and texture. Our range of liquid malts can be used in breakfast cereal, biscuits, malted milk drinks, sugar, chocolate confectionery and ice cream for added flavour. It can also be used in bread making to enhance product colour, flavour and provide sugars for yeast activity. Malt extract can also be used to replace some of the sugar content in reduced sugar products. Our dark brown, strong flavoured liquid malt extract that provides a valuable source of fermentable sugars, natural colouring and a traditional malty flavour. This extract provides a valuable source of fermentable sugars, a natural colouring and a traditional malty flavour. Is used in brewing as well as the bakery industry. Our Amber Malt Extract provides a valuable source of fermentable sugars, a natural colouring and a traditional malty flavour. A spray dried malt extract produced from malted barley. A light beige coloured fine powder, with a sweet full malt flavour, the extract provides a valuable source of fermentable sugars and can improve keeping quality and crumb moistness. A spray dried malt extract produced from malted barley. A beige coloured fine powder with a sweet full malt flavour, the extract provide a valuable source of fermentable sugars and can improve keeping quality and crumb moistness. A non-diastatic medium brown flour produced by milling crystal malted barley. It has a roasted aroma and a roasted, slightly bitter flavour. It’s mainly used in yeasted bread recipes to give a mild malty flavour and light brown colour. A non-diastatic dark brown flour produced by milling crystal malted barley. It has a roasted aroma and a roasted bitter flavour. It’s mainly used in yeasted bread recipes to give a strong malty flavour and dark brown colour. A non-diastatic, very dark brown flour produced by milling crystal malted barley. It has a bitter aroma and a very strong roasted bitter flavour. It’s mainly used in yeasted bread recipes to give a strong flavour and/or dark brown colour. A non-diastatic, intensely dark brown flour (black malt) produced by milling crystal malted barley. It has a bitter aroma with a very strong roasted bitter flavour.